Know What to Expect - Diagnose Your Car Problems First! If you’re having car problems, there’s no longer a need to panic – bring your vehicle to REIS Automotive in Hales Corners. Our local mechanics provide unparalleled services with fair pricing to match. The first step to accurately diagnosing a car problem is an inspection. Once you know exactly what the problem is and where it originates, you will have a better idea of how soon your vehicle needs to be repaired and how much the repair services will cost. What is Causing Your Car Problems? Below are a multitude of common car problem symptoms. Each is accompanied by a description detailing the possible causes of the symptom and the cost of inspection/diagnosis. Use the Sense a Problem? Menu below to filter your symptom results. Click the symptom to reveal the possible diagnosis. To accurately diagnose your problem and the urgency of service, bring your vehicle into Reis Automotive today! If you have lost power steering in your vehicle, the cause is most likely a broken belt, or a belt has fallen off its track. It could also be due to a steering fluid leak or an internal problem with your pump or gear box. If your battery dies frequently, it is a problem with your charging system. If our car feels like it pulls to one side while you are driving, it could either be a tire or alignment problem, or a steering / suspension problem. There could be multiple causes that make your car wobble, ranging from steering suspension to the wheels. Steering Suspension: Your steering suspension system is crucial to ensuring your car drives properly. It maximizes the friction between the tires and road surface, while providing steering stability. Wheels and Tires: Another cause of wobbling could be a loose component – worn tires or misaligned wheel bearings can cause shaking. Drivetrain Problem: If you’ve recently been in an accident or driven on particularly rough roads, your drivetrain may need attention. This indicates a problem with your brakes, and should be addressed immediately. You may simply need to add more brake fluid, or replace your brake pads. If your steering wheel is shaking at higher speeds, it could be an indicator of drive train, steering, or suspension issues. Drivetrain: This is the system which connects the transmission and drive axles. Damage can occur after an accident, or even after accidentally hitting a curb. 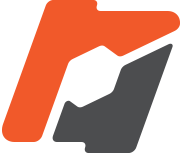 Suspension: Your vehicles suspension system includes the tires, springs, shock absorbers, and linkages which connect your vehicle to your wheels. If any of these components are damaged, it can cause excessive shaking while driving. This is not only frustrating, but can indicate a problem with your ignition cylinder. This is a relatively easy fix. If your vehicle doesn’t shift properly, it indicates a serious problem which should be addressed immediately. It could be an electrical or computer problem, or there’s a problem with your transmission system. Reis Automotive offers free brake inspections, to ensure your vehicle is safe to drive. If your car shakes while braking, the problem is typically a warped brake rotor. The rotor is the silver disc component within your brake system, which can become warped due to heavy wear and tear, or if it overheats from excessive, sudden stops. Warping means your calipers and brake pads can’t get an even grip on the rotor, causing the shaking. The most annoying car problem is when your vehicle will not start. Depending on if your vehicle does nothing or will not turn over, the causes vary. Car Engine Does Nothing: This is almost always a battery, starter, or charging problem. Car Engine “Clicks” but Doesn’t Turn Over: This is typically due to an electrical system error. This usually requires a tow into the shop. Car Won’t Start During Winter: probably related to your battery, starter, or alternator. Vehicle Cranks Over but will Not Start: Time to call a tow truck, something essential to the operation of the car’s engine has stopped working. If your car isn’t accelerating properly, chances are your check engine light is already on. Usually this means the exhaust or intake system is clogged or restricted, so air can’t flow smoothly. However, it could also be an electronic system error, or a fault in the timing belt. The reason for a car stalling can be difficult to diagnose because there are multiple causes. This can range from the vehicle’s electronic or computer system malfunctioning to fuel delivery loss or a sensor loss. If your car stalls, it’s important to give your mechanic as many details as possible to help narrow down the causes. It’s a harrowing experience to be driving your car down the interstate when it starts shaking. Typically this is a tire issue. Your tires could be out of balance, your wheel bearings or steering components could be misaligned or, if it occurs during winter, there could be snow packed in your tires. If your car is consistently overheating, there are two possible causes: either your cooling system is malfunctioning or your vehicle’s electrical system has an issue. Check for leaks - coolant leaks are the initial symptom of a cooling system failure. If your radiator or hoses are leaking, that causes your engine to overheat. Your thermostat could also be stuck, or your water pump could be faulty. There are multiple causes, ranging from engine issues to axle problems, which could be the reason your car shakes when you accelerate. Your best bet is to bring your car into a reliable auto shop for a quick diagnosis. The diagnosis is inexpensive, and will accurately pinpoint the problem. Axle Issues: If an axle is bent, it quickly causes issues, like your car shaking. A bent axle can be the result of a fender bender. It could also be a misaligned driveshaft, which transfers engine power to the rear axles. Engine Issues: If your engine isn’t getting enough air, fuel, or sparks to run properly, it can cause your car to shake during acceleration. You may need new spark plugs or spark plug wires. It could also be a dirty or clogged air filter or a faulty engine mount. If your car is leaking water, it’s most likely condensation from the AC and you do not need to worry about it. If it happens in the winter, however, you should bring your car in for an inspection. This is almost exclusively an engine oil, transmission fluid or coolant leak. Your gaskets or seals could be worn, or the oil pan and valve cover gasket could be leaking. If your lights dim while driving, it indicates a problem with your charging system. If your charging system is faulty, is can also lead to a dead battery. If your engine is smoking, it causes alarm. However, the cause is usually easy to diagnose – typically it’s just a fluid leak. 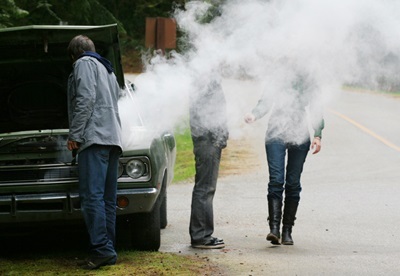 For example, if the smoke coming out is distinctly white – it means you have a coolant leak. There are many causes linked to a check engine light. Not all are cause for concern – it could be a simple fix. When you bring your car to Reis Automotive, our mechanics will scan the vehicle’s diagnostic code and provide you with the results for free. In most cases, though, this does not pin point the exact issue. To determine the exact problem, a real inspection of all related/affected components is required – typically costing a diagnostic fee of $100. You may be thinking “I’ll take the free scan, instead of paying $100 for a real inspection”, but please bear in mind – if the scan is incorrect, you could be unnecessarily fixing problems that don’t exist and/or overlooking real issues that will cost more to repair down the road. *Please note, if your check engine light is flashing – bring your car into a trustworthy mechanic shop immediately. Loose/Damaged Gas Cap: Your gas cap not only maintains pressure within your fuel tank and seals the fuel system, it prevents hydrocarbon fumes from escaping your gas tank when your vehicle is off. If your gas cap is loose, tightening it will solve the problem. If your gas cap is damaged, it will need to be replaced. If you do not replace your gas cap you will lose fuel through evaporation, and in turn, make more frequent trips to the gas station. Oxygen Sensor: If you do not replace the faulty Oxygen Sensor, you run the risk of burning more fuel than necessary as well as additional damage to your spark plugs or catalytic converter (costing you more money in the long run). Catalytic Converter: Catalytic converters are used to convert harmful carbon monoxide into carbon dioxide - to protect our environment. Maintenance neglect is the most common cause of a damaged catalytic converter. If you do not replace it, your vehicle will not pass emissions, and your vehicle's performance and fuel economy will be reduced. Mass Airflow Sensor: The MAF determines how much fuel is required to run your engine efficiently, by measuring the amount of air entering the engine. If this is damaged and you do not replace it, you’ll not only experience reduced fuel economy and performance, but also run the risk of causing damage to your O2 sensors, catalytic converter, and/or spark plugs. Spark Plugs/Plug Wires: Spark Plugs ignite the air and fuel mixture in the combustion chamber of your vehicle - Spark Plug Wires deliver the spark from the ignition coil to the spark plugs. If you do not replace your spark plugs and plug wire when necessary, you risk additional damage to your O2 sensors and ignition coils, as well as a clogged catalytic converter. A humming noise from the under the hood could be attributed to a number of things, including the drive train system, anything rotational within the wheel bearing, or a tire related problem. An inspection from a qualified auto repair shop will pin point the exact issue. If you hear squealing noises from under your car’s hood, it is likely the belt. It could also be from pulleys and accessories in your engine, though. This could be caused by your engine accessories. Typically it’s your AC compressor, or the power steering. This is also typically related to your steering suspension, or you have a worn component which needs lubrication. If your car makes a clicking noise while turning, it indicates a problem commonly with your drive axel, which is a component of your drivetrain. The drive axel is powered by the engine. If your engine is making a clicking noise, there could be a few culprits. The louder the noise, the sooner you should bring your car into Reis Automotive to diagnose the problem. But don’t be fooled – the severity of the noise does not always directly relate to the seriousness of the problem. Valve Train: the valve train controls the operation of the valves in your engine. This controls air and fuel flow in and out of the cylinders – facilitating combustion. If left untreated, the broken valves can fall into your engine cylinders, causing total engine failure. Serpentine Belt Problems: The serpentine belt drives multiple functions in your engine, including the alternator, power steering pump, water pump, AC compressor and the air pump. It’s critical to replace a bad serpentine belt, or you run the risk of damaging your engine beyond repair. This means it’s time to replace your brake pads. Reis Automotive provides free brake inspections! The cost to replace brake pads ranges from minimal to medium, depending on the year, make, and model of your vehicle. If your car is making squeaking or squealing noises, it’s most likely related to your belts or brakes. Serpentine Belt: If the squeaking gets louder or goes away when you increase mph, your serpentine belt may need replacing. Brakes: If your vehicle squeals with the use of your brakes, your brake pads may need to be replaced. If your engine is knocking, there’s a problem. Your vehicle needs to be brought in for a thorough engine inspection. Typically your engine will need to be dismantled to discover the root of the problem, and any faulty parts replaced. This is an easy diagnosis, your car is most likely leaking fuel. If you smell gasoline, you should bring your car in ASAP. This usually indicates a fluid leak of some sort. Your car fluids leak out and drip onto components of your engine which then causes it to burn – hence the burning smell. However, it could also be a sign of an engine accessory starting to go bad, like the alternator. If an engine accessory is wearing out, you will typically have other symptoms showing.